Give your business an established, professional appearance with a mailing address at a historic commerical building in Anaheim. 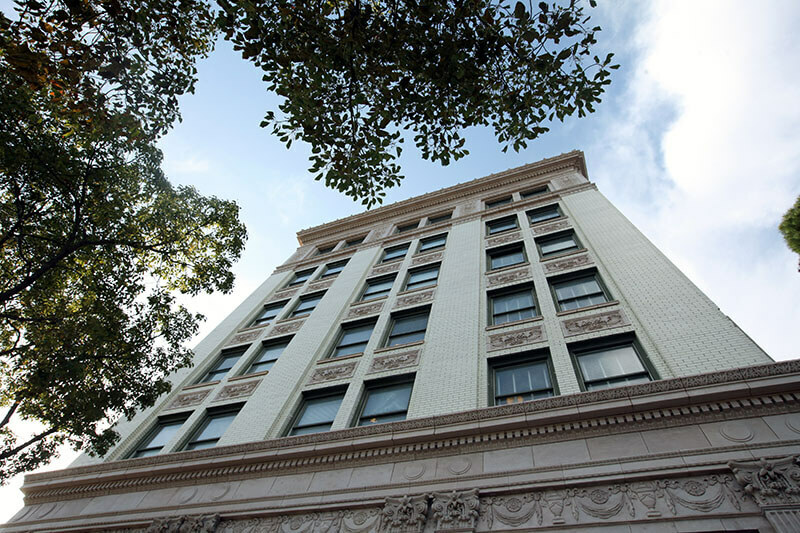 The Samuel Kraemer Building, built in 1925, was the first high-rise building constructed in Orange County, located in the historic colony district at the heart of Downtown Anaheim. With a business mailing address and virtual mailbox located at the Samuel Kraemer Building in Anaheim, your customers, prospects and vendors can lookup your mailing address on Google Maps or similar mapping software and see a multi-story commerical building which helps project a professional, established image for your business, and at a fraction of the cost for leasing office space. See the mapped image on this page for an actual view of what your customers, prospects and vendors would see by looking up your business mailing address at 201 E Center St Ste 112, Anaheim, CA 92805. Have the confidence to list your business mailing address on publicly available documents and registrations; e.g. domain registrations, trademark registrations, company documents, website, business cards, email newsletters, etc., all while keeping your personal address confidential. Your Anaheim business mailing address also provides a digital mailbox providing the convenience being able to manage your postal mail from your mobile phone, easily filtering out non-critical mail, saving you time and allowing you to focus on growing your business.